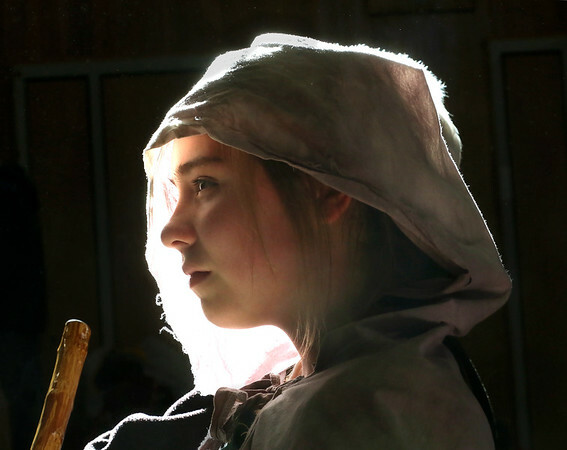 Fifth-grader Carmen Karol participates in a dress rehearsal for "The Beauty and the Beast" at Beeman Memorial Elementary School in Gloucester. The play, directed by Heidi Dallin with musical direction by Beth Goldberg, will be presented to the public next Tuesday through Thursday, April 12-14, at 7 p.m. in the Beeman auditorium. The price of admission will be $5.